Dogs can find bombs or drugs. They can track missing kids or bad guys. And now, research is showing their sense of smell is so strong dogs can even sniff out cancer in patients with almost perfect accuracy. A study presented at a conference in Florida this week show dogs could pick out blood samples from people with cancer in 97 per cent of cases. Dogs have smell receptors 10,000 times more accurate than humans, according to researchers. BioScentDX hopes to harness this skill to create cheap and easy new cancer-screening approaches. Junqueira presented the findings at the American Society for Biochemistry and Molecular Biology during the 2019 Experimental Biology meeting in Orlando. 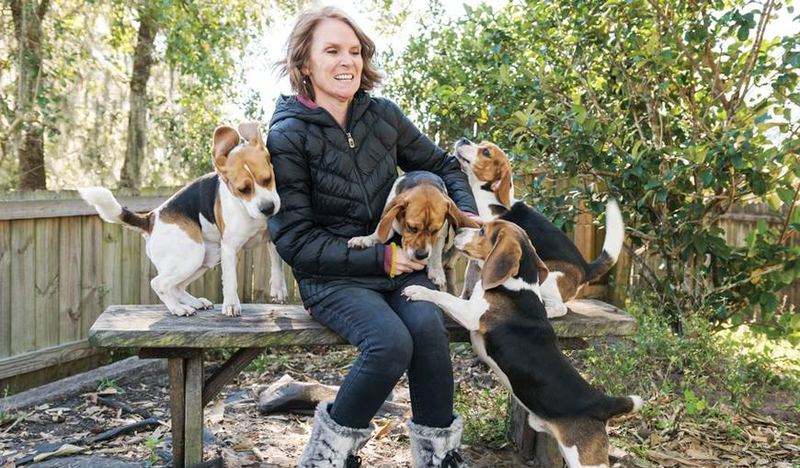 Scientists trained four beagles to distinguish between normal blood serum and samples from patients with malignant lung cancer. While one beagle wasn’t up for the task, the other three dogs performed near perfectly. They correctly identified lung cancer samples 96.7 per cent of the time and normal samples 97.5 per cent of the time, according to BioScentDX. The company is in the midst of a breast cancer study hoping to recruit 1,000 participants donate samples of their breath for screening by trained cancer-sniffing dogs. Researchers are about half way there, but are still looking for more participants. Previous studies have also shown canine cancer detection with accuracy rates of up to 99 per cent. Junqueria called the work “exciting,” since it paves the way for further research along two paths, both of which could lead to new non-invasive cancer-detection tools. “One is using canine scent detection as a screening method for cancers, and the other would be to determine the biologic compounds the dogs detect and then design cancer-screening tests based on those compounds,” she added.